Book Bingo 2019 is a collaboration challenge I am completing with my favourite bloggers, Theresa Smith Writes and The Book Muse. Each Saturday, on a fortnightly basis, beginning on Saturday 5th January 2019, Ashleigh, Theresa and I will complete a book review post, outlining our respective bingo card entries. The Book Bingo 2019 card contains a total of 30 squares, which we will complete over the course of the year, with the aim to complete the whole card by the end of December. Two of the Book Bingo entries this year will be flexible, so that means it is completely down us as to when we post these entries, to ensure all 30 are ticked off by the end of the year. Do keep an eye out on our respective blog sites for our bonus round entries! To keep things interesting for ourselves and those following along with us, the choice of bingo square to be covered will be entirely down to us, there is no crossover – that is planned anyway! 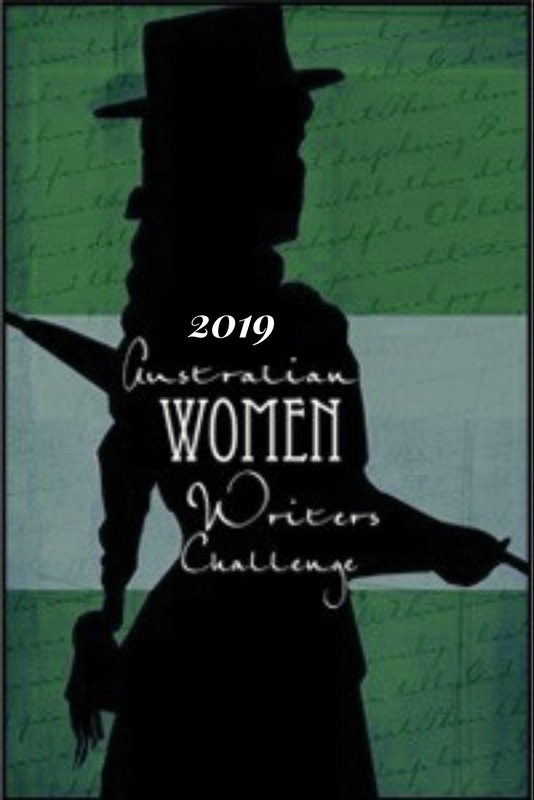 However, as Ashleigh, Theresa and I enjoy similar books, especially books by Australian women writers, I wouldn’t be at all surprised if we end up with more than one book double up, as was the case in 2018! We invite you to join us in this fun book related challenge, by linking your bingo card entries in the comments section of this post, tagging us on social media, or by visiting The Book Muse and Theresa Smith Writes. A Brahminy Sunrise is a heartfelt and captivating novella, from Australian author Maggie Christensen. This emotional and relatable short story, will draw you in as leads Alex and Jack learn to love again. A Brahminy Sunrise revisits Alex Carter, a University Professor, who first appeared in Champagne for Breakfast, another delightful Maggie Christensen novel that I have read and enjoyed. Alex suffers a huge blow to her confidence and love life when her long-term boyfriend calls it quits, declaring his love and impending marriage to another woman. The news naturally sends Alex in a spin and she decides to retreat to the Sunshine Coast, to take up a new position at the university. On the Sunshine Coast, Alex takes on the renovation of a beach cottage and works at connecting with her family based there. She finds the local area to be a natural form of therapy by exploring the nearby beach and surrounds. It is on one of these soul cleansing walks that she accidentally bumps into Jack Russo, a local handyman. By chance, it is Jack who Alex calls on to oversee her renovations at her beach cottage. The two eventually strike up a relationship after some resistance, but they are dealt with a few bumps along the way to happiness. A Brahminy Sunrise is a book that gently reminds the reader that love can strike again when you place your trust in someone, despite a trail of heartbreak. Novellas and I don’t have a great relationship. But I make the exception for this one as I have all the time in the world for the writing of Maggie Christensen. Christensen is a figurehead in terms women’s fiction, with a distinct Australian and mature age protagonist flavour. As soon as I enter the world Maggie Christensen creates, I feel enveloped in emotions and sentiment. This was the case with Maggie Christensen’s latest piece of fiction, A Brahminy Sunrise. Even though A Brahminy Sunrise is a bite sized novella it still packs a punch. Christensen works in a number of key and resounding themes in her story. Each thread managed to strike a chord with me. Not only is this a great second chance romance, with the focus being on mature age protagonists, it also considers themes of trust and past heartbreak. An area that I felt Maggie Christensen really excelled in this novella was the focus on elderly abuse. This is an area that needs more attention and I applaud Christensen for her treatment of this tenuous subject. The character of Flo really increased my appreciation for this narrative thread. Elderly abuse is not the only theme explored by Christensen, she also places the spotlight on suicide, sexual activity in teens and infidelity. Each issue is given special treatment by Maggie Christensen’s insightful storytelling. Anything published by Maggie Christensen wouldn’t be complete without a stellar romance thread and this is the case with A Brahminy Sunrise. Young or old, committed or unattached, expect your heart to skip a few beats while Alex and Jack find their way to love and happiness. My final word on this moving and genuinely lovely novella is the setting. I would love to visit the Sunshine Coast, but in the meantime, I’m happy to settle for Maggie Christensen’s descriptions of this stunning locale (she has a knack for delivering knockout book locations). It truly is a magical place and no wonder Alex found contentment in this glorious locale! As with all novellas I had a quench for more. I will be looking to the next Maggie Christensen story with eager eyes. Women’s fiction and romance readers will be sure to appreciate all A Brahminy Sunrise has to offer. A Brahminy Sunrise by Maggie Christensen was published on 15th January 2019 by Cala Publishing. Details on how to purchase the book can be found here. To learn more about the author of A Brahminy Sunrise, Maggie Christensen visit here. *I wish to thank the author, Maggie Christensen, for a copy of this book in exchange for an honest review. Wonderful choice for this category! I also wanted more! Glad we are on the same page with this one! Ah, Amanda you chose a different novella for book bingo I was looking forward to your review of Operation Valentine by Loretta Hill. Lol. Only due to you mentioning you might pick that one up. One day hey… you’ll like it and will laugh yourself silly I’m sure LOL! Yes I did – sorry. I needed to clear some of my mounting review pile, so this novella covered both book bingo and a review book. One day I’ll get to Loretta’s book!